This is a die-cut Consolidated Tours porcelain sign. 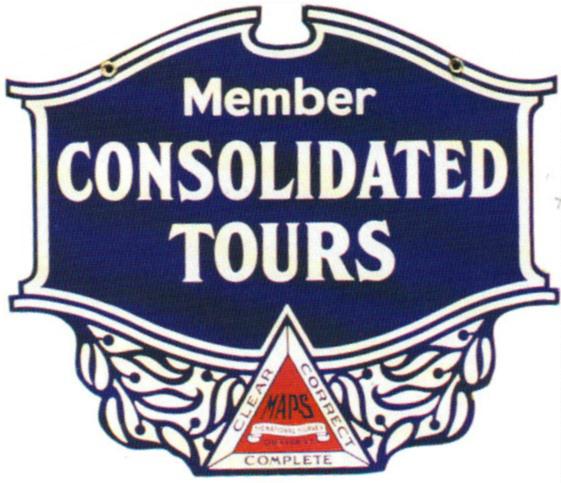 This particular Consolidated Tours sign is blue and white with a red triangle at the bottom. It reads, “Member Consolidated Tours, Clear, Correct, Complete, Mars”.